This is a pivotal time to be part of the Historic East Village. With a growing number of residents, businesses, and nonprofits, we are turning a corner to become a major regional and national destination for visitors, residents, and commerce. In fact, our future has never been brighter. Over the past couple of years, the Historic East Village (HEV) Board has made important strides in improving our neighborhood. Neighborhood Safety. We successfully advocated for a four-way stop sign on E. Locust and E. Fifth and are now working with the City of Des Moines and local developers to create a design plan to improve the pedestrian experience on E. Grand. Visitor Wayfinding. We partnered with the City of Des Moines to design visitor way finding signs and parking meter stickers which will be installed this year. We also completed the fabrication of a new welcome kiosk on the corner of E. 4th and E. Locust and intend to install several more throughout the neighborhood. Fresh Branding and Marketing. We continue to roll out new branding and marketing to encourage economic development and public awareness. To keep the momentum, we need YOUR help! 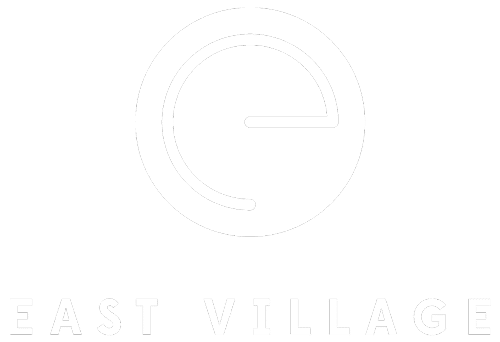 Promote the Historic East Village as Des Moines’ most vibrant and diverse district, boasting many of the finest shopping, dining, nightlife and commerce in Iowa. Improve neighborhood safety, including advocating for stop signs and more visible crosswalks. Memberships have changed and are now based on 365 days from when you sign up! One (1) vote at the HEV Annual Meeting (held every June/July). One (1) featured listing on the new HEV website. Promotion to 14,000+ followers of HEV social media channels (including Instagram, Facebook, Twitter) once per quarter. Free Admission to HEV Socials. Invites to the quarterly HEV Forum, with exclusive educational and networking opportunities. Notifications about upcoming board meetings and decisions. Please click below to sign-up or renew your membership – this process takes less 2-3 minutes.